Let’s talk about cake flour! You might recognize cake flour as that ever-present box in the back of your parents’ refrigerator. Maybe that’s just me. My mom always had a box of cake flour in the fridge. Cake flour is a finely ground flour used in many (but not all) cake recipes. Cake flour has a lower protein content of about 8%, as compared to a 10-11% protein content in all-purpose flour. The protein is important! It helps to add structure to our cakes. The lower protein content of cake flour ensures that our cake layers have structure and a soft and light (not tough) texture. Cake flour is especially important in chiffon or Angel Food Cake. Cake flour is our friend, and we should have it in our pantry… but we probably don’t. You may be fresh out of cake flour when the need for cake arises. I understand this all too well! Luckily, we can easily make a substitute for cake flour using ingredients you probably already have in your kitchen: all-purpose flour and cornstarch. Good news, right? Measure out 1 cup of all-purpose flour. 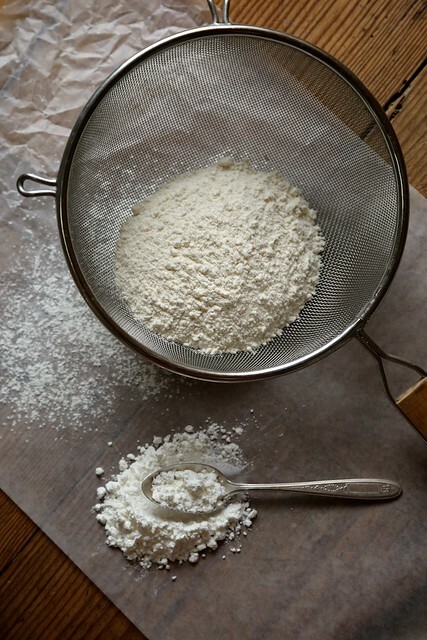 Remove 2 tablespoons of all-purpose flour and place it back in your flour canister. Replace the removed all-purpose flour with 2 tablespoons of cornstarch. Sift flour 5 times. Yes… 5 times. Sifting the flour and cornstarch together will help thoroughly combine the mixture and help to lighten and aerate the flour. By replacing a bit of the all-purpose flour with cornstarch, we’re removing some of the gluten and replacing it with a tenderizing element. But cornstarch is so neutral, how is it a cake tender? Well, cornstarch works alongside other cake ingredients (like sugar, for example) to inhibit gluten development. It’s ingredients like sugar and cornstarch that compete with the flour for liquid absorption (think: eggs and buttermilk) in a recipe. If flour gets to gobble up all of the liquid in a recipe and is worked in a mixer (like we work cake batter), it’s gluten development will be off the charts… and you’ll basically have a baguette. Cornstarch (and sugar) makes the flour share liquid, easing the gluten development and creative beautifully tender cake texture. King Arthur Flour makes my favorite store-bought cake flour. I love it because it’s an unbleached cake flour (pretty rare because cake flours are usually bleached), has no weird chemicals, and has a slightly higher protein content that helps make consistently great cakes. If you’re like me and want to read majorly nerdy textbooks about food, Understanding Food: Principles and Preparations is a massive reference book about everything from food service to food science. It’s a splurge. The used book is the way to go. Baking101: Must We Sift This Flour? I used to keep a variety of different flours – cake, bread, whole wheat, etc. but I found that having so many meant that they went bad before I got to use them. So now I use bran to make flour whole wheat and add cornstarch to make it “cake flour”. Thanks for sharing! We don’t have cake flour in the UK – we just have plain (all-purpose) and self-raising (which, as the name suggests, already has baking powder added to it). And then bread flour (usually called ‘strong’ flour) and wholemeal etc. Interesting to read about the protein content! 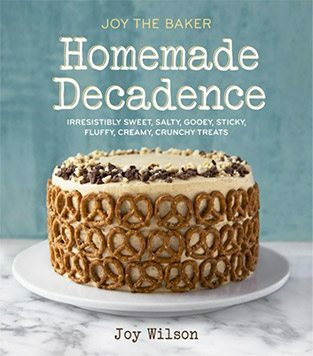 We don’t really have a tradition of making things like angel food cake or chiffon cake here, so I suppose that’s why cake flour isn’t something we see in our supermarkets. I’m so happy you posted about this topic. I have a very small in-home baking business and use cake flour often. I’m curious, do you prefer this homemade version of cake flour to the store bought brand, or is it just something you use in a pinch when you run out? Also, I made a blueberry and pumpkin pie for Thanksgiving using your pie crust recipes and they turned out fantastic! Everyone raved about them so I will definitely be using them again in the future. Thanks! Joy! This is awesome- I never knew you could substitute for cake flour. I am totally using this useful trick! Oh, what would I do without you? This is particularly useful for us who live outside the US and don’t have access to all your different kinds of flours and other fancy ingredients. Thank you so much for these Baking 101 posts! Just love when the Earth shifts just right–was in the supermarket last night and almost picked up a box, and thought nahhhh I can make my own, and here you are today showing us how lol. I absolutely LOVE these Baking 101 posts. Thanks! Cannot find cake flour for love nor money in London. But we have self-raising flour which apparently isn’t cake flour but is a flour often used in baking cakes. Very peculiar! You can buy cake flour on amazon here in the UK. The reason we don’t have it here is that cake flour is usually bleached and under EU regulations is against the law. I make a large batch of cake flour as per the formula above and my angel and chiffon cakes are perfect (so my husband tells me …. He became addicted to them when we were last in the US) Angel cakes are great as there’s no fat or egg yolks so the calorie count is friendlier the only problem is the cake is addictive and like eating a cloud! I have a couple of recipes that add cornflour to all-purpose flour (I’m guessing that’s the same as what we call plain flour in England) and I’ve always wondered why. Now I know! What’s the difference between cake flour and pastry flour? Thanks! Pastry flour contains even less gluten (protein) than cake flour.